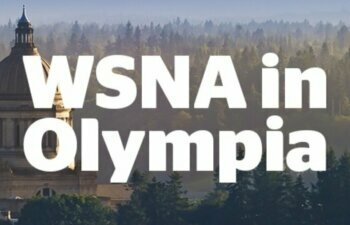 Each election cycle, the Washington State Nurses Association Political Action Committee (WSNA-PAC) receives dozens of requests for endorsement. Why? Because candidates value the support of nurses, and WSNA-PAC’s endorsement sends a strong message to voters. WSNA-PAC supports candidates and incumbents who are strong on nursing and patient safety issues, regardless of political party affiliation. As nurses, we value transparency and integrity – and our endorsement process reflects that. As part of a fair endorsement process, WSNA-PAC reaches out to all candidates who file with the Secretary of State to run for the state legislature or statewide office, such as Governor or Attorney General. Each candidate is emailed a candidate questionnaire, which he/she is invited to complete and send back to the WSNA-PAC Board. Not all candidates choose to respond to the WSNA-PAC, but all candidates are invited to participate in the endorsement process. Candidates who choose to interview with WSNA-PAC Board members and nurses have an opportunity to engage in deeper conversation about their backgrounds, experiences and their priorities. These interviews also give candidates the opportunity to hear directly from nurses about the budget and policy issues that affect nurses and patients. WSNA-PAC Board members and nurses who participate in candidate interviews complete an evaluation of each candidate interview. Candidates currently serving in the legislature (referred to as “incumbents”) are also evaluated on how they voted on nursing priorities and key issues. WSNA’s 2017 and 2018 Legislative Voting Records illustrate that most nursing issues have bipartisan support. In addition to these evaluation tools, WSNA-PAC also takes into account the makeup of the legislative district and past voting patterns.